Series Makers | Make all the series! Discover your secret talents. You will start in the Netklix-University creating your first own series. Yet with limited opportunities, but this will change soon. Finally you have made it. You got your own studio. Hire up to 4 employees and start researching countless technologies. Now the real path of success is walkable. There it is, the moment you have ever waited for. Stage 3 is full of new opportunities, manage a team of 6 employees, creating the damn best series the world has ever seen. What is Series Makers? The name says it, you mainly create your own TV-series. Feel free to choose your favorite setting or theme, build your own team and research new technologies. The further you go, the more researches will be available. 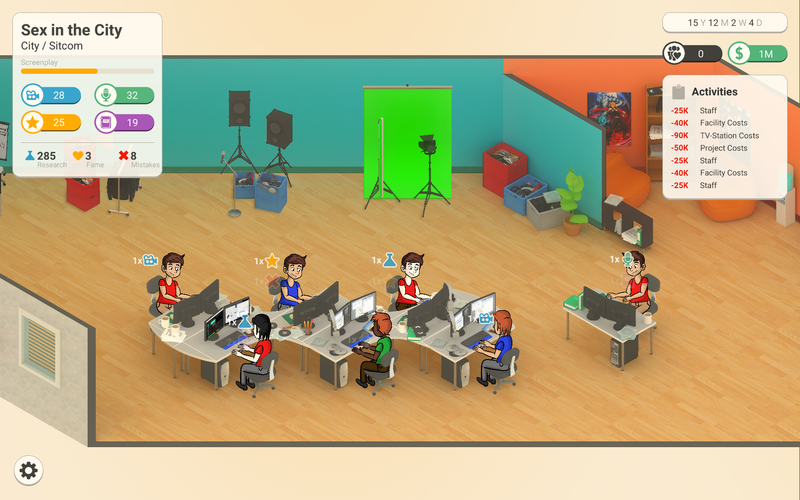 You can build different facilities, hire up to 6 employees and even provide your own streaming platform. Choose the right decisions and climb the series-throne.